MAS DATOS OFICIALES DE LA SERIE DE CAZADORES DE SOMBRAS. ATENCIÓN NEPHILIM: NOTICIAS DE ULTIMA HORA. Ya emepzamos a tener las primeras noticias de la serie de Cazadores de Sombras #ShadowHunters y os las vengo a traer en exclusiva como dije el otro día por Twitter. Esto es todo lo que tenemos por ahora sobre la serie, pero en cuanto sepamos algo más que sepáis que lo tendréis en primicia aquí en nuestra web. Muchas gracias y comparte esto Nephilim, ¡que el mundo se enteré de que los CAZADORES DE SOMBRAS HEMOS VUELTO Y NOS PENSAMOS QUEDAR! SI LO TOMAS NOMBRA LA FUENTE. "Will paró deslumbrante a Gabriel y se giró hacia Tessa. Él la miro a la cara y su gesto se suavizó: los trazos del que había sido un niño loco y roto por dentro se habían desvanecido, remplazados por la ya algo desgastada expresión del hombre que era ahora, que sabía que era el amor y el hecho de ser amado. - Querido corazón - dijo. Cogió la mano de Tessa y la besó.- ¿Quien conoce tu valor mejor que yo?." Welcome to my blog, TMI Fandom acounts from all arround the world. Maybe you know me, maybe not. Just in case you don't know me, let me introduce myself. I am Gloria and I am the official administrator of The Mortal Instruments Spain Fandom Blog. She got really upset and sad about this question. As fandom accounts, we know a little bit more than the fandom who follows us and we created these accounts to inform them about the saga and everything that has something to do with it. So the reason why I called you up today is just for that: TO INFORM. 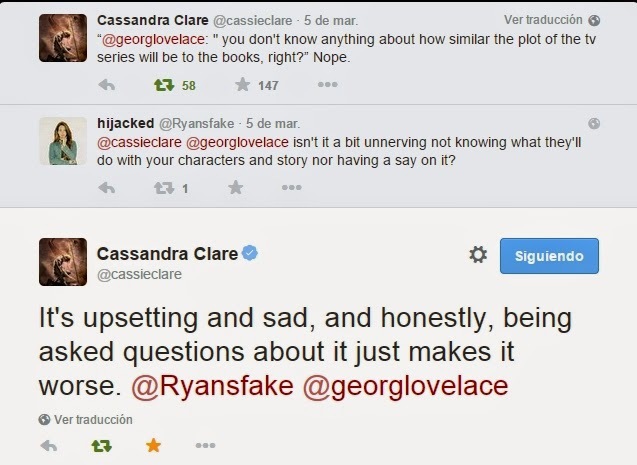 I am Booktuber (people who uploads videos on Youtube talking about books and movies) and I had an idea that I found interesting and that could help to all the people who follow us to understand better the new things we know about the TMI TV series; it's just to let them know that Cassie is tired of being asked again and again about the series when, as we all know pretty well, she doesn't know anything. What I thought is to do a short 4 or 5 minute video explaining everything that we know by now of the TV Series and explain them why Cassie is tired of questions. 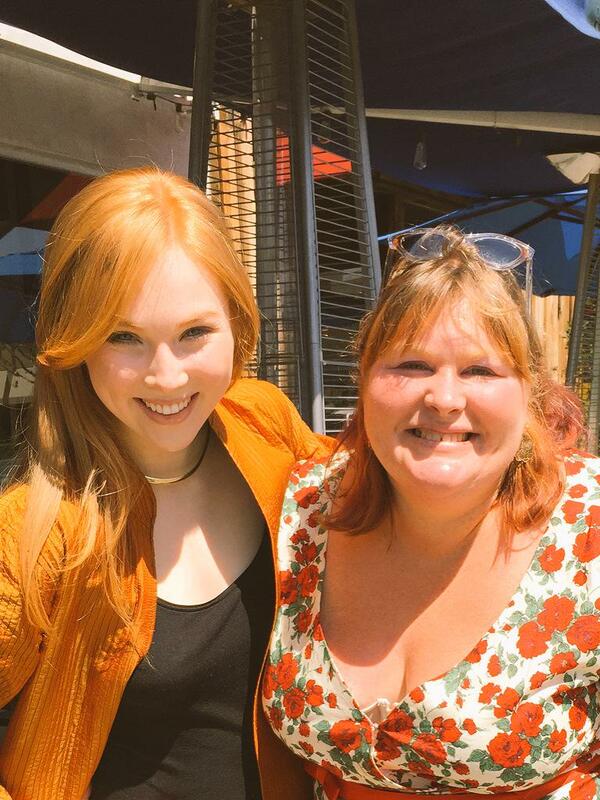 I got really worried when I saw her answering the fans in that way, so I thought it could be a great idea to help here not only sharing news about her books, but also helping her to not be bothered by fans that are not well informed. 1- Record and edit the video. 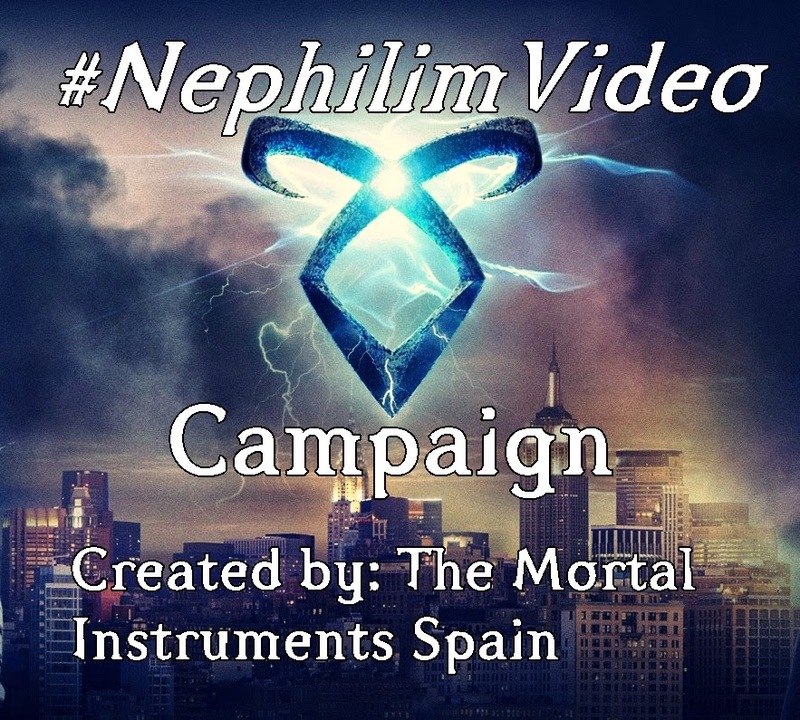 2- Create a Youtube account with the name of your Fandom Account Name (mine is TMI Spain, for example). 3- Upload the video in your own language (I will record it in Spanish, if you are from England, record it in English or from Germany in German). 4- Share this with everyone as much as posible and if Cassie follows you (then you are really lucky because she doesn't follow me) send to her the video and the campaign. If you finally participate, tweet the image from above and tag me! I just ask you something: if you do this at the end, give me credits. I just ask you to do that. 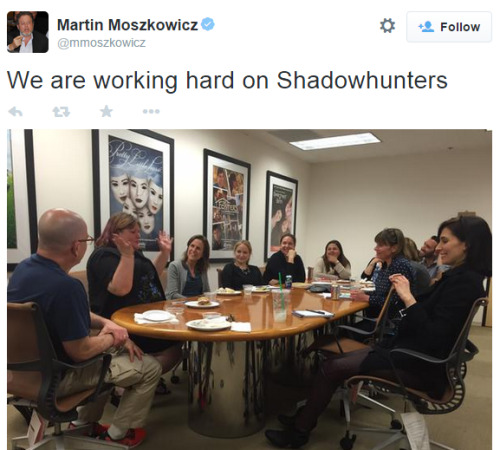 1- Nombre de la serie "Shadowhunters"
2- Las grabaciones empezarán en Vancouver en Mayo. 4- Habrá episodio piloto, pero la serie se grabará directamente. 5- El episodio piloto se llamara "La Copa Mortal"
¿Que os parece? Dejadme vuestro comentario abajo.